Welcome to the Website of the Gotha Volkspark Stadium! Operated by the special-purpose association "Volkspark-Stadion Gotha", our facility offers you the best training conditions. The stadium is currently used free-of-charge by Gotha city and district schools as well as school associations for training sessions and competitions. Consequently, a great number of kids and adults benefit from this modern sports facility. 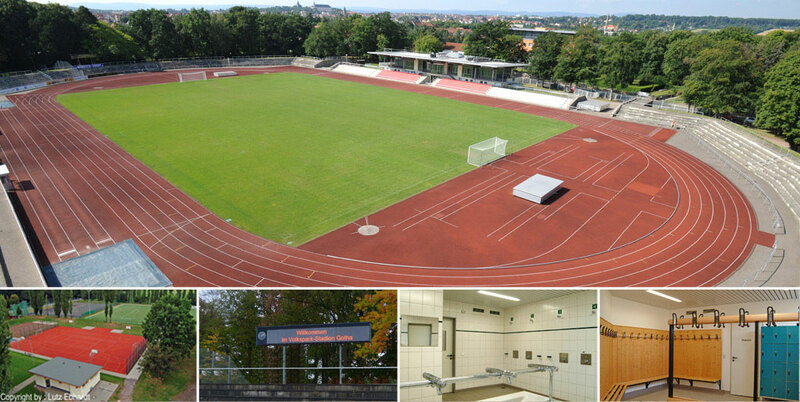 Furthermore, several teams of Germany’s first, second and third soccer league have already experienced the excellent conditions offered by the Volkpark Stadium in cooperation with the “Lindenhof“ Best Western Hotel and Quality Hotel "Am Tierpark" in Gotha. If you have questions, please send an email to: info@volksparkstadion-gotha.de.